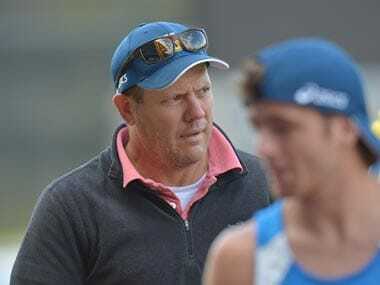 Mumbai: Having "fed the 5,000" and fulfilled his duty of leading the India hockey team to Olympic qualification, Australian coach Michael Nobbs has set the target of a top-six finish in London. The former hockey powerhouse won the last of their eight gold medals in 1980 but their gradual decline reached its lowest ebb in 2008 when the team failed to qualify for the Beijing, the first time India missed a Games in 80 years. So it was a huge relief for the nation when the team won a qualifying tournament in Delhi in February to seal a London berth. "I was very relieved. I was quite apprehensive. 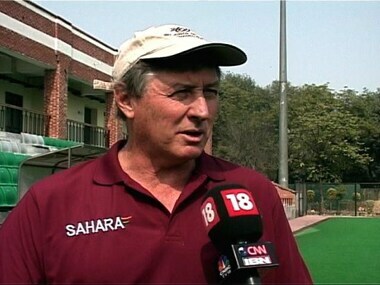 I knew how Indian hockey had probably declined in the last number of years," Nobbs, who took on the job in July 2011, said in an interview. "They were just not going anywhere because they were sitting 10th in the world... And then everyone came up to me and said 'you realise you have to qualify?' At least 5,000 have told me and I was waiting for the rest of the nation to walk up to me and tell me. It was very stressful," he said. A rumbling administrative row and cricket's emergence as the most dominant sport in the country have not helped Indian hockey. But the team's qualification gave hockey some rare front page coverage in local dailies and also dominated the primetime news slots. Sponsors and local governments have jumped on the bandwagon by announcing cash bonuses for the national hockey team. 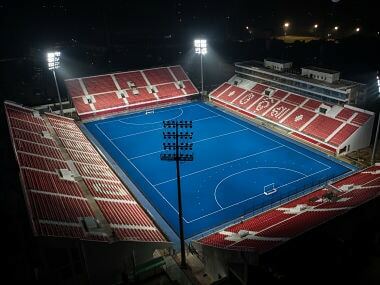 Nobbs considers India an "unseeded player" when they face-off against their higher-ranked opponents that include Australia, Germany and Netherlands, during the London Games. "Realistically, let me put it this way. Anything can happen," Nobbs said by phone from Bangalore, where a national camp for the players was being held. "We are an unseeded player, playing against top seeds and there is always a chance that we can knock a few of them off. "I think if we can finish in the top six that would be realistic but it would be a pretty tough ask. If we can do anything better than that, we will be profoundly happy." India remained unbeaten in six matches and scored 44 goals during the qualifiers. Nobbs felt more time was needed before the players could match the fitness and strength of their counterparts from Australia and Europe. "One thing that is hindering us is the fact that our European and Australian counterparts are six to eight kilos heavier," the Australian said. "They are physically stronger. Skill-wise we are pretty much at par. But that makes a huge difference. "They have spent five-six years preparing for this Olympic Games. We have spent six months and trying to repair the damage that's been caused over a number years." 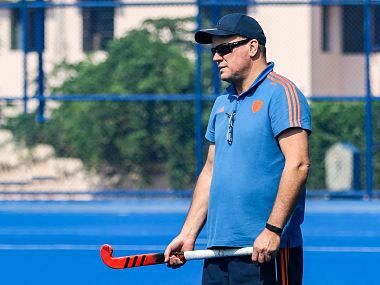 For the 57-year old Nobbs, the development plan is more long-term for hockey in India. "It's a time factor more than anything else. The publicity just shows the passion in the people in this country and how much they love the sport," he said. "We know we are not good, not yet. But we are going to be. And that's going to take a bit of time to repair that. "It's helped that the cricket team has been absolutely whitewashed (in England and Australia) in the last two overseas series. "People have started to focus on something that's actually winning something. Hockey is the national sport of this country and it certainly helps."